SINGAPORE: Prime Minister Lee Hsien Loong said he fully supports ongoing tripartite discussions to extend the re-employment age beyond 65. Addressing more than 1,000 unionists at the May Day rally on Thursday morning, Mr Lee said the government is encouraging older workers to continue working for as long as they can, even beyond 65. Mr Lee said promoting continuous learning for those already working is critical when knowledge becomes obsolete more quickly. To help workers, the government has built two Continuing and Education Training (CET) campuses. The Devan Nair Institute for Employment and Employability at Jurong East was launched on Thursday. The second campus is the Lifelong Learning Institute at Paya Lebar which will be opened later this year. Mr Lee said these two institutes reflect the government’s commitment to invest in workers and help them improve their skills and stay employable. He cautioned that the competition from workers in other countries is getting stronger. Mr Lee said the government is providing workers with resources and the means to stay ahead of the competition. Mr Lee stressed the need to create better jobs as this would raise the value and dignity of work and be better safety nets than social transfers. 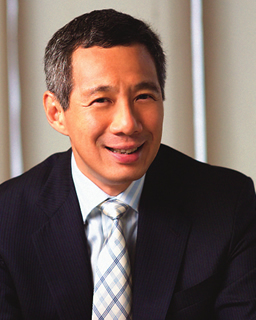 He said Singapore must stay open and connected to the world, for example through working closely with our neighbours on win-win projects like Iskandar Malaysia and Vietnam-Singapore Industrial Parks. Mr Lee added that Singapore supports free trade and investments like the Trans-Pacific Partnership, EU-Singapore Free Trade Agreement as these will expand our export markets and attract more investments here. The Prime Minister noted that better jobs require better companies as these would attract quality investments. He said Singapore is now seeking higher-skilled, knowledge-intensive, innovation-driven investments like that of Lucasfilm. The film production company famous for Star Wars movies chose to set up its base in Singapore because we have an international talent base, good infrastructure, and creative minds with the right skills. In his May Day speech, Mr Lee also paid tribute to the pioneer generation unionists. He said this group of unionists defeated the pro-Communists in the Singapore Association of Trade Unions (SATU) and enabled the National Trades Union Congress (NTUC) to assume its leadership role. Mr Lee is also especially grateful that the pioneer unionists have groomed a new generation of leaders to continue their good work. Mr Lee urged the unions when renewing themselves to learn from the pioneer unionists who had groomed successors well, planned and carried out smooth and timely leadership transitions. He noted that more leaders are making way for new blood at 62 years old, while retaining their links with the unions as advisors or mentors. Mr Lee said many unions are refreshing their leadership ranks, for example NTUC has four new Assistant Secretary-Generals – Patrick Tay, Yeo Guat Kwang, Ang Hin Kee and Zainal Sapari. He said these four men may be young but they have proved themselves and are passionate about their roles. TSB: The challenge for the government now is to manage Singaporeans’ rising expectations of not only for better jobs, but for better pay without threatening the country’s competitive edge. And this has to be done in the light of their anxiety about competition for jobs coming from foreigners. It is not easy but Singaporeans must be assuaged that their government will look after their interests ahead of others.